The Redevelopment Agency of Salt Lake City (RDA) and Salt Lake City Arts Council announced today the names of 15 artists commissioned for the Granary District Mural Grant Program. 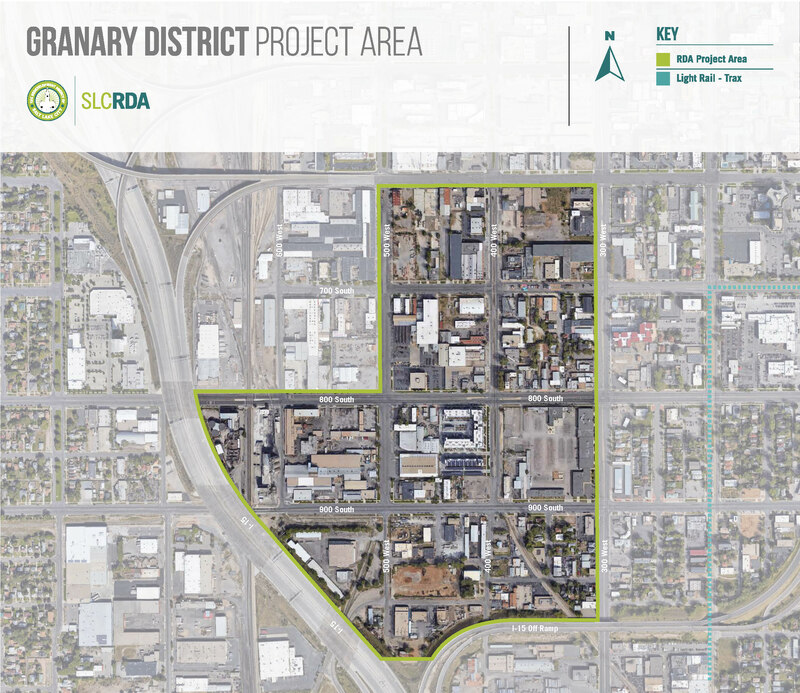 The artists were chosen through the City’s competitive Call for Artists process to create large-scale artwork on the exterior of privately owned buildings in the RDA’s Granary District Project Area, which is roughly between Interstate 15 and 300 West, and 600 South and 1000 South. The eleven murals funded by the program will be completed by mid-September, with a public celebration and tour event scheduled for Saturday, September 29 at Atmosphere Studios, 336 West 700 South. The September 29 event will begin at 5 p.m. with brief comments from Mayor Biskupski and City Council Member Derek Kitchen, who represents the Granary area and also chairs the RDA Board of Directors. A representative of the community business organization Granary District Alliance will also speak. From 5:30 to 8 p.m., attendees will participate in walking and biking tours of the murals throughout the neighborhood, where artists will be on-hand to discuss the inspiration and artistic process for their works. Additionally, the RDA is partnering with the City’s Business Development Division to highlight neighborhood businesses. The Redevelopment Agency of Salt Lake City works with communities to implement Salt Lake City’s master plans to create vital housing opportunities, improve infrastructure, and participate in the economic development of the City. For more information on RDA projects and programs, go to www.slcrda.com. The Salt Lake City Arts Council is a community-established arts organization that provides public programming and support for the arts. The organization both produces internal programs and supports other arts activities and groups throughout Salt Lake City. For more information, please visit www.saltlakearts.org.